Episode 001 of the Improve Glasgow Podcast is LIVE! 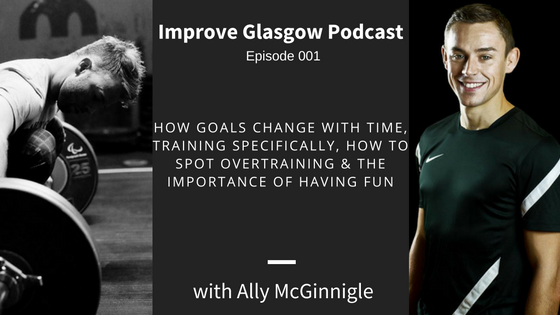 We kick off our first episode with Ross Stewart and Ally McGinnigle talking shop about all things training and coaching. Ally and Ross have been mates for around 6 years and have worked together for the past 2; previously under the RSF banner and now at Improve Glasgow. Ally’s competed in just about every sport imaginable; from rugby to CrossFit to strongman and now to Olympic weightlifting. – The importance of training in a fun environment. We’d love to know what you think about it and would appreciate any suggestions for future episode topics. Congratulations, Abhi – Bowler of the Year!